First off, I love this vacuum! The reason for the 4 stars is that it is a little to heavy for me... however it’s amazing for our carpet and tile and we have a German Shepherd and a basset hound and it picked up so much nasty stuff that I was shocked! Our old vacuum paled in comparison! Overall— it’s an amazing vacuum and does what it’s suppose to do for sure!! My daughter originally bought the Hoover Wind Tunnel 2 High Capacity Pet Vaccuum when she rescued a dog from a local shelter. I borrowed it constantly (even without a pet in my house) because it was soooo lightweight, maneuvered easily and really picked up anything from any surface - hardwood floors, carpet, tiles - anything. So I was eager to order my own. It arrived this weekend and has all that great suction and clean up capacity - but it weighs so much more than hers does =(. 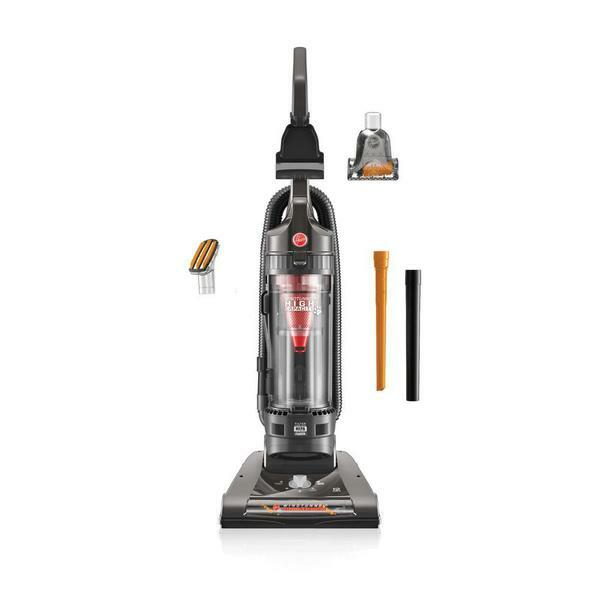 Great Vacuum for the price! It was time for a new vacuum with a good pet hair attachment. This one does a great job with cleaning hardwood floors and area rugs. I could not believe the dog hair that came out from the carpet. Being lightweight and easy to clean out is a big plus. The best feature is saving on the cost of bag replacement and being able to dump whatever you pickup without getting your hands dirty. Also, this is the first pet specific vacuum cleaner I've had and it is great seeing what my carpets look like after I'm done compared to my older vacuum cleaners. Stands up to our long-haired dog far better than any other pet vacuum we've ever had (and we've gone through 3 top rated ones in 6 years). The capacity is easily twice as much too, so I can actually get through a full room before needing to empty. 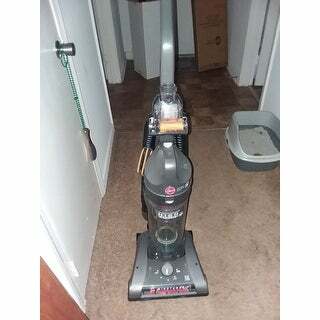 I am so happy I order this vacuum cleaner.It's a lot better then my other vacuum.cleans our carpet and picks up the pet hair real good .I would tell anyone to pay this hover vacuum they would be very happy. Actually, it's nicer than what I expected! I'm totally satisfied....... with 3 cats, it's just what I needed. About to call and register it. Very nice heavy duty vacuums, great sucking action and bagless which is a huge plus. Works well in any shag or wood floors also it doesn't matter low or high it works great. Light assembly required. It is a lot harder to push than other vacuums I've previously owned. Seems to be working as it should. It is not quiet by any means. It has a flipper switch to turn it on and off by hand instead of by foot which is a little different than what I'm used to. Overall I'd say it is a bit overpriced.